Over 3,000 exhibitors gathered at the recent Consumer Electronics Show (CES) in Las Vegas, Nevada to showcase their newest products in consumer technology. CES is noted as the event of the year, highlighted for unveiling the top designs, features and trends of a whole host of gadgets that uniquely challenge the market. In 2005, the crazed product introduced at the show was the Samsung i730, complete with Windows Mobile 2003, 3G and even a color display. The pricey LG BH100 HD DVD and Blu-ray combo player made its debut in 2007, most noted for it’s ability to play both formats from a single disc tray. A year later Apple launched the 3-inch touchscreen iRiver as the top portable media player, while Phillips introduced its Eco TV. By 2009 smart phones began to emerge and by 2013 we had already been introduced to tablets. 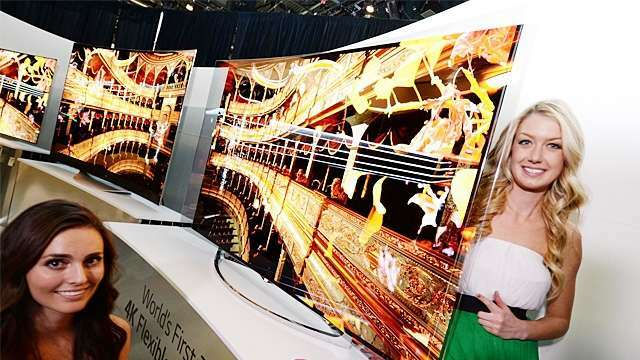 Makers such as LG and Samsung introduced high-definition models that curve towards the viewer and designs that are bendable. This innovative new functionality will offer “even more lifelike picture quality with more depth,” according to Samsung’s Executive Vice President of the visual display business. Not only this, both companies introduced displays that are able to bend to the viewer’s liking. Also introduced by LG was the G Flex Smartphone, offering a curved display which contours nicely to the users face. LG says the G Flex will be available to consumers through AT&T, Sprint and T-Mobile. 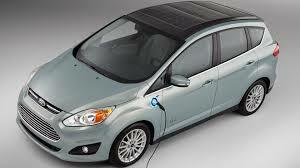 Ford is helping to change the perception of solar powered vehicles with its new Ford C-Max. This sleek new solar car, with inconspicuously placed rooftop panels, can fuel 75% of its trips by just the sun. BMW also showcased its new ActiveAssist application that turns its vehicle into a nearly driverless-car. The feature is designed to assume control of the car – steering, accelerating and braking as needed (in case of an emergency). Razer displayed a new wristband called the Nabu, that they described as a “cross between a Smartwatch and fitness band.” Not only can this new kind of Smartwatch deliver text and emails, it can also monitor and record both sleep and activity, with a built-in GPS. LG revealed a similar device – the LifeBand – which, in addition to Smartwatch capabilities, GPS and activity monitoring, can control music as well. We are inspired by these new products and technology trends and look forward to seeing how they can be integrated into business to further increase productivity and efficiency. The new year has begun and if you’re like us, your realize just how crisp-with-potential 2014 truly is can be. The question is, have you thought through your New Year’s resolutions list for your business? We sure have. After doing some research we have used our expertise to bring you four things that will help you achieve success in your business for 2014. It is important to take the time to step back and evaluate your business last year. 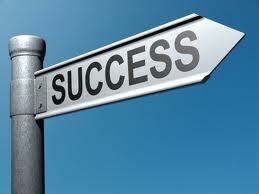 Learn from your successes and failures by reviewing your systems, procedures and general practices of your business. Find ways to create an even more efficient way of doing things and make appropriate changes. This is a perfect time to put an end to poor habits, making necessary adjustment to help your business continue running smoothly. Once you’ve evaluated your business, pinpoint the areas in which you need to improve. Set specific goals and develop a strategy of how you will achieve them. Define both long term and short term goals that will help drive your motivation along the way. Know exactly what you want to achieve, be aggressive and get after it! Above all, do not put your website and social media profiles on the back-burner. The key is to update regularly and often. This is a great time to check out all the links on your website and social media profiles to make sure they are functioning and up-to-date. Keep your content fresh! This will help ensure that your pages are being found in online searches. Contact us to learn more about how LVM can help you build an influential online presences to drive business. Remember to thank your loyal customers, who have shown their support throughout the previous years. Showing them your appreciation will speak volumes to who you are as a company, as well as give them a reason to continue to do business with you. Saying “thank you” can go a long way, so remember to show your gratitude to all of your clients and coworkers. For more ideas about how to strategically grow your business through marketing and re-branding, connect with us here.